Fisch, who was named 2014 Retailer of the Year by Market Watch, has planted a flag at the Nelson’s Corner shopping center on Route 206 at Amwell Road. 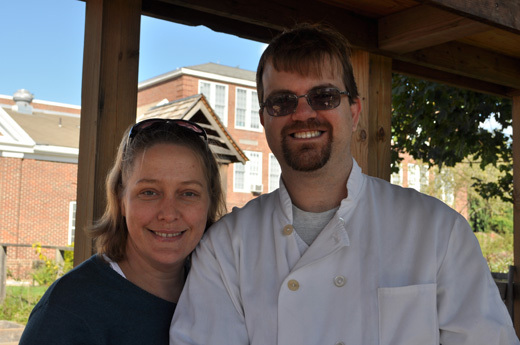 For now it’s a pop-up, while a new 9,000-square-foot space is being readied. 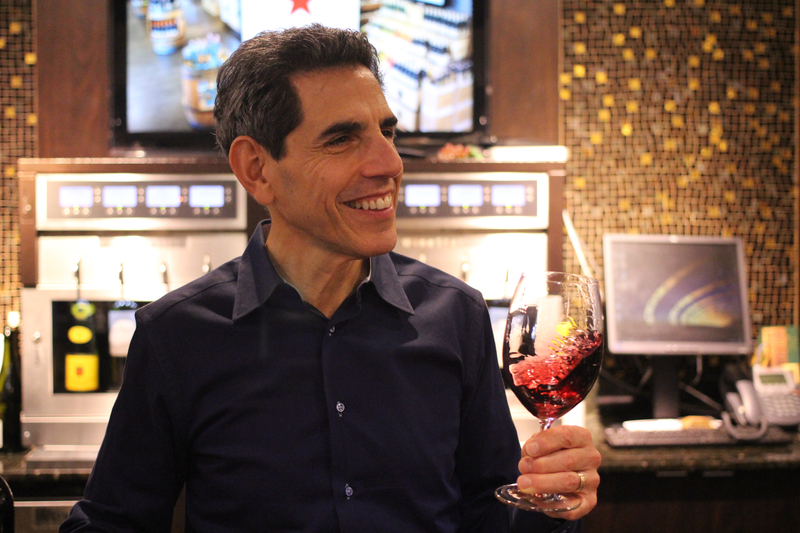 I met him there to get the scoop on what he has in mind for the Hillsborough store and his $50 million business. Here’s my story in the December 10 issue of US 1. 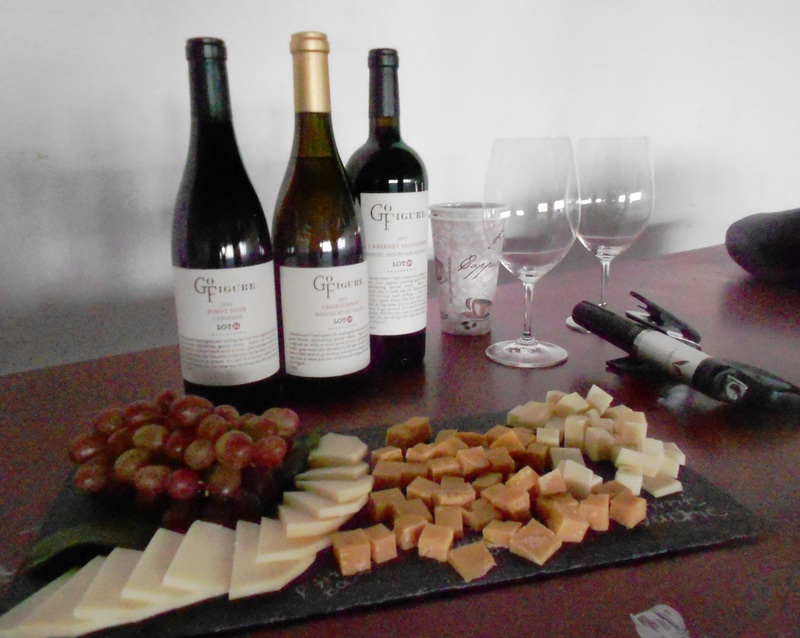 Oh yes: the interview also includes a wine tasting. 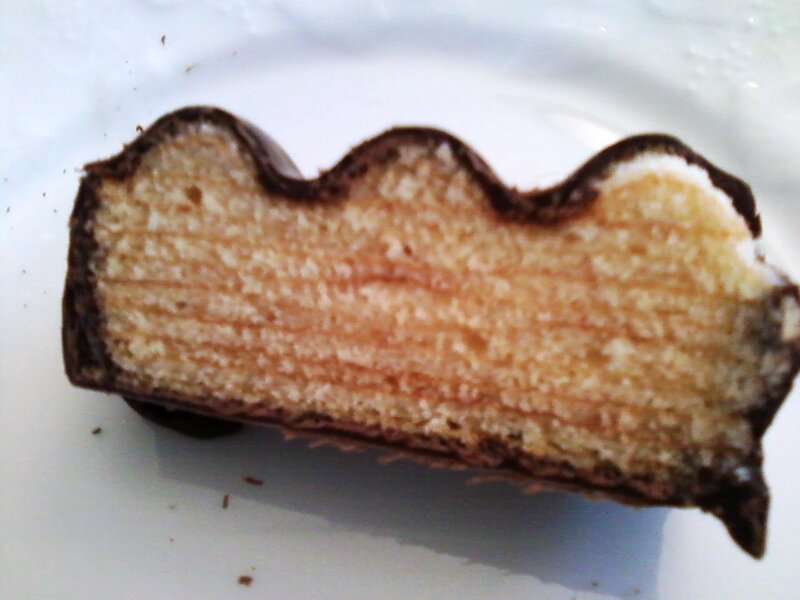 Baumkuchen: It’s new to me! In an incredibly labor-intensive process, the layers are built up one by one, as the baker applies a thin coat of batter with a brush, and lets it bake just enough so that the next layer of batter will adhere to it. Historically, baumkuchen was made on a special rotating, wood-fired spit, as some still are today. 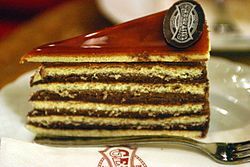 Each layer is so so thin that by comparison those of a dobos torte seem positively gargantuan. 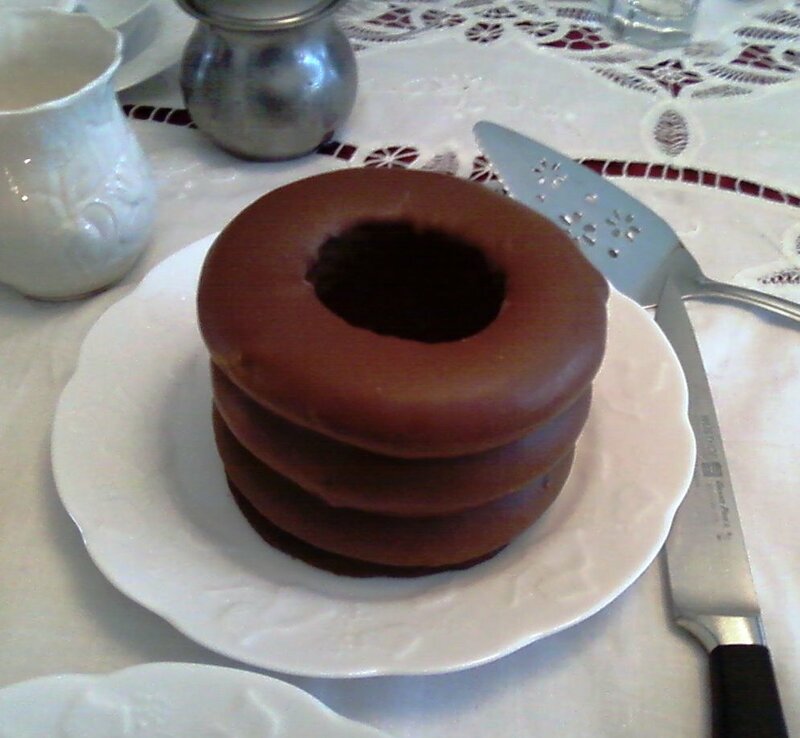 When the baumkuchen is finished baking, it’s removed from the spit (hence it has a hole in the middle) and is often covered with chocolate couverture, as this one was. The cake tasted like it had almond paste or marzipan in the batter, which is also traditional. 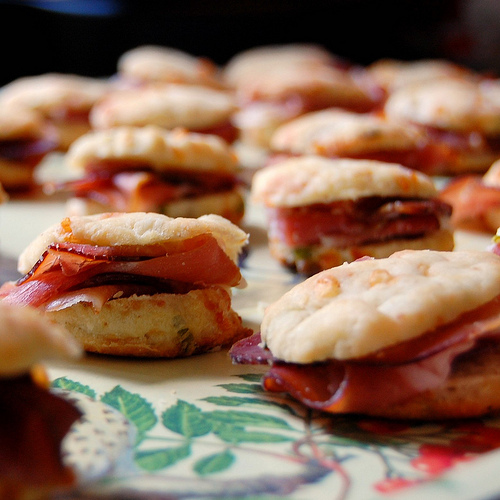 The resulting layers were rich and dense, yet still so light that I couldn’t stop eating it. I came up short on finding a bakery in NJ that sells German-style baumkuchen, although, amazingly, there’s a Japanese iteration (“baum roll”) sold at Mitsuwa Marketplace in Edgewater. This reflects just another part of the cake’s fascinating history. 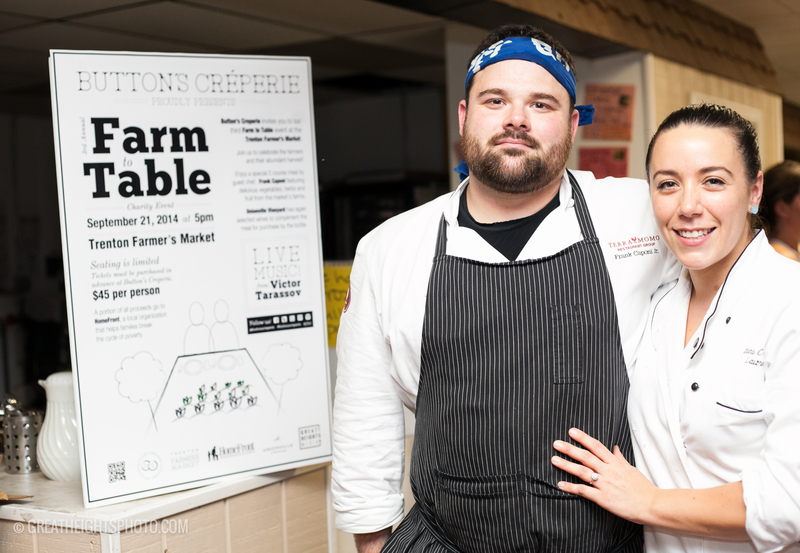 This entry was posted in Favorite Finds, Interviews and tagged Aaron Philipson, baumkuchen, Blue Bottle Cafe, Buttons Creperie, Frank Caponi, Gary Fisch, Gary's Wine & Marketplace, Lauren Sabogal, Rory Philipson, Teresa Caffe. Bookmark the permalink. This cake reminds me of the Lithuanian Torte my uncle sent us from Omaha each year – but those didn’t have the attraction of chocolate and marzipan. This cake looks delicious, thanks for sharing it with us! Dear Pat, thanks for your article about “Baumkuchen!”! But the japanese “baum roll” shown on their website is definitely no real “Baumkuchen”, just a rolled cake. Yes, I know. But I think it’s a hoot that the Japanese have picked up on baumkuchen in any way, shape, or form.